WoW Insider: Dave, your Hordeblood series rules! 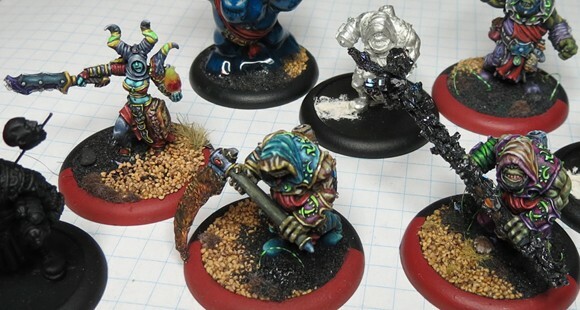 How long have you been a miniatures hobbyist? I'm guessing it was quite possibly Warhammer that sucked you in? Dave: Epic-scale Warhammer 40,000 was fun, and it's what I'd attribute to getting me into wargaming but certainly not painting. We're talking about figures the height of the "I" on your keyboard (just the "I," not the button) and tanks between dime- and quarter-sized -- as both a new painter and kid, there isn't really much opportunity to be artistic. I would like to return to Epic at some point, just to see what I can do with minis that scale with the skills I have now. I make a point of signing and dating all my figures, so I have some idea when I started. The earliest go back to 1996, when I'd've been 13. It started as a small painting kit of Heroes Quest fantasy models that my parents bought me before going up to our cottage one summer. I enjoyed painting but as a kid, there was no game associated, so I wanted more. At what point did you realize that it was the miniatures rather than the game that had really captured your imagination? Eventually I got into Warhammer 40k, painting and gaming with figures a few inches tall and tanks the size of pop cans. I would pick up fantasy miniatures occasionally because it was enjoyable to paint something different from all the science fiction troops in my army. (To this day, I still suggest that if you're getting a little burned out painting one particular style, shift gears briefly.) That's when I recall starting to really enjoy painting but not over the game. Maybe I just prefer painting fantasy miniatures? Eventually we got older and as school began taking up more time, we may stopped playing as often but I didn't stop painting. Life got busier, but painting provided a way to relax. As more of the army became painted, there's a real sense of accomplishment seeing something you've worked on come together. ... That's when I started experimenting with other miniatures to hone my skills and yearned to tackle a larger project that would become my "Art Army." ... Looking over what everyone was playing, I saw the Trollbloods and had this mental flash like "They kinda look like Horde." ... I wanted an army I could play too. But first an foremost, I was inspired. Sounds like you fell in love pretty hard. I was even able to get some professional validation a few years back when my wife and I took a vacation to Baltimore, partly to partake in GW's Games Day event and Golden Demon painting competition. I didn't win, but both the miniatures I entered made it through to the first cut and were put on display as such. I was disappointed, sure, but in retrospect it's pretty awesome to get recognized like that. For readers who might not be familiar with the miniatures hobby, tell us a little bit about getting into conversions. What's that all about? Well, there are a couple reasons why miniature artists get into conversions. All of them allow the artist to get really creative.. or maybe more accurately, differently creative. Personally, I prefer painting to conversions. I've been converting my Hordebloods out of necessity because I'm looking at the army as a whole art project and a way to learn something new. I've even seen entire armies that look like xenomorphs from the Aliens movies or the droid armies from Star Wars. Plenty of artists also come up with their own original designs and will do whatever sculpting and modifications it takes to bring their vision to life. When you buy a miniature, they're designed to stand in one pose, sometimes more. Think about buying an action figure -- if you can even pose it, you're limited to the way the joints move. Miniatures are the same way, which means to give your army some personality, they sometimes need to be chopped up and repositioned. Not only will they stand out from people fielding the exact same models, but you can re-sculpt figures so they look really dynamic. Other times, conversions are to satisfy an in-game requirement. 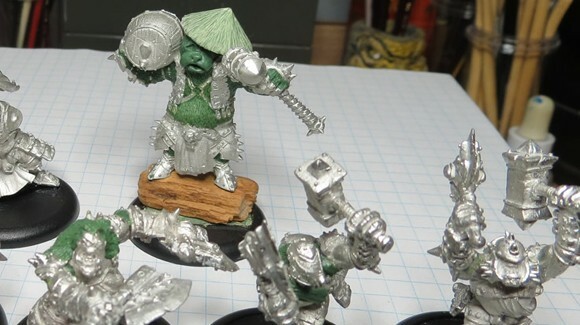 Game designers often release rules for figures that don't exist yet, so you might have these awesome troops for your army, but it'll be months (or years) before you can actually use them. Rather than wait, people will find a way to build figures or vehicles that look like their descriptions in the rules. That must have been a fascinating process for the Hordeblood series. For the Hordebloods, I played with a lot of different things like carving stone into a hammer and using shark teeth as spear heads. Embracing Green Stuff for the first time was the really daunting task, however. Now, I'd used it before, but only for simple things like filling in elbow gaps or cleaning the lines where two parts were glued together. Actually sculpting a head for my tauren had me really conflicted. The first attempt looked nothing like a tauren but looked like a surprisingly good gorilla. It took two more revisions before I had the head how I wanted. Making the pandaren head took a few more tries than that, but a bunch of those were just getting the size right. As someone with zero artistic schooling, I was ecstatic. When did you decide to start sharing your experience and advice with others on the web? Is that something you've added on to your existing hobby work, or has it eaten into your production time? When I'd been just getting into the hobby during the mid- to late '90s, the internet had very little in the way of hobby resources. People didn't have digital cameras, and images took too long to download anyway. I began commenting a little on the forum and started creating some tutorials that I shared on my DeviantArt account, but neither felt like I could share well enough. That's when I decided to build a blog and see where things take me. Has it eaten into time I could be painting? Absolutely -- but sometimes the interaction with people or just the fact I'm sharing what I've created is just the motivation I've needed to push through a rough patch when I'm feeling unmotivated. It's also helped me analyse how I can improve. But it definitely messes with my "flow." I like to allow a miniature to speak to me as I paint, switching brushes, pulling out whatever paints seem right and allowing paint to flow from one area to another. Sometimes documenting how I paint a miniature too closely will completely derail that natural process, and I have to work harder. That's why I have some incredibly detailed tutorials like my Dungeoneer, while others are just photos taken as I pause the process. I've even caught myself while working on a detailed tutorial, realizing that I meant to take pictures much earlier. You're a longtime Warcraft fan from the days of Warcraft 2, isn't that right? I am indeed -- ruined my first keyboard when knocking over a pop as I threw my arms up in victory after beating a friend in Warcraft 2 over the modem. (That's like telephone LAN gaming, for you kids these days.) ... After trying games like The Realm and Ultima Online, I swore I'd never pay a monthly fee for a video game, but open beta changed all that and hooked some friends and I on World of Warcraft. Around level 70, we became casual again and began Grave Song, raiding old dungeons like ZG and MC. My main was an undead warlock Nagash on the PvP server Skullcrusher. 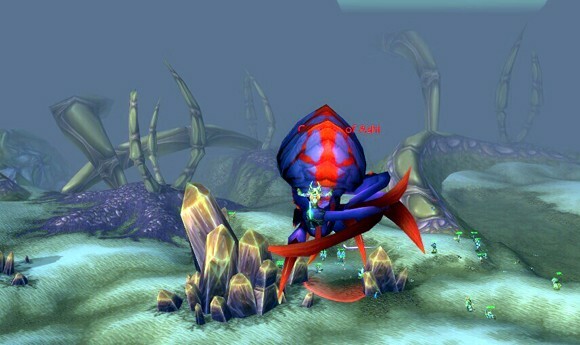 You could find me in battlegrounds (worked up to Legionnaire) raiding Alliance towns before level 60 was common. I was part of many BB / GZ protection runs . (There didn't used to be goblin guards. A faction on a PvP server often had to work together to fend off campers so allies could get quests done.) And I defended capital cities from some of the first server raids. And you met your wife in WoW! Indeed! It was pretty awesome, really -- I guess it's more common these days, but how many people can say their dates involved crawling through dungeons and defeating evil? We'd spend time outside of WoW too, but we were separated by 14 hours of road and the Canadian/U.S. border. Warcraft and voice chat provided ways for us to spend time together and grow closer. 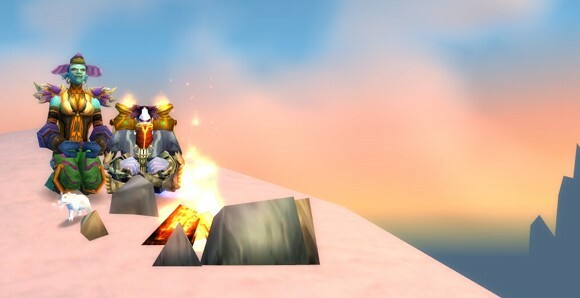 Since so many of my friends played WoW at the time, it also meant she got to know everyone really well too. When we would spend time in person, there were no uncomfortable moments. Now that WoW is in the past, how much time do you manage to spend on weekly basis on painting and conversions? Well, there's plenty of other distractions. We live in a small town now and don't really know many people, so we've been playing some games again as a means of being social, mostly League of Legends. But the hobby continues to call to me. Generally I alternate between painting and writing, as all these tutorials can take quite a while to write up. When I'm just casually working on things, I might put in three hours or so to wind down at the end of the night during the week and maybe an afternoon or evening on the weekend. If I'm in my groove and/or my wife's also occupied on hobby projects of her own, then I can easily spend most of an evening and all weekend painting. In that time, I can do between two to three miniatures in a two-week period. Apparently, that hasn't satiated your gaming appetite! Tell us about Headshots From the Heart. 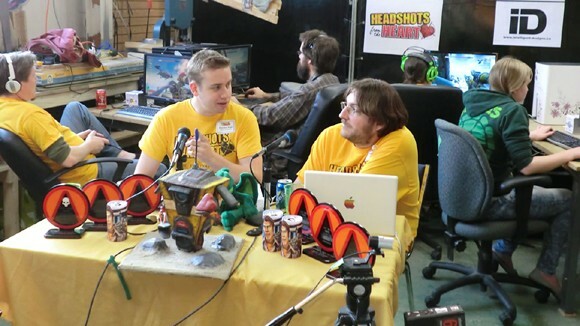 Headshots from the Heart was an event we started last year to raise money for Childs Play, a charity launched by the guys at Penny Arcade that helps sick kids around the world. The basic premise is that a group of gamers play Borderlands for 24 hours straight, and people pledge to sponsor them on a per-headshot-kill basis. It's a great way to take the action gaming genre and show that these violent games can be used for a good cause. In addition to pledges, we get straight donations, run auctions for awesome loot provided by fantastic sponsors and even ran a LAN this year. The entire event is streamed live online and money gets donated through ChipIn or eBay Giving Works, so we don't handle any cash. We've had two incredibly successful years of it now. Last year we raised nearly $3,000, and this year we're still waiting for all the pledges to come in but we're approaching $5,000. A lot of work went into the last few months to make this happen and we're already talking about what we're do to make next year even better! "I never thought of playing WoW like that!" -- and neither did we, until we talked with Game of Thrones' Hodor (Kristian Nairn) ... a blind ex-serviceman and the guildmates who keep him raiding as a regular ... and a 70-year-old grandma who tops her raid's DPS charts as its legendary-wielding GM. Send your nominations to lisa@wowinsider.com.